If you are a Sheep Breeder, HerdBoss will revolutionize the way you do business! Keeping track of all the details about a flock of sheep can be a headache. That headache becomes a migraine when the flock grows and your operation expands. HerdBoss for Sheep solves this problem! "Great App!! Very user friendly and has tons of features. I love it." A complete end-to-end solution, HerdBoss for Sheep tracks everything about your flock in a simple and intuitive way that will help you and your entire team save time and money, and increase accuracy and completeness of your tracking. 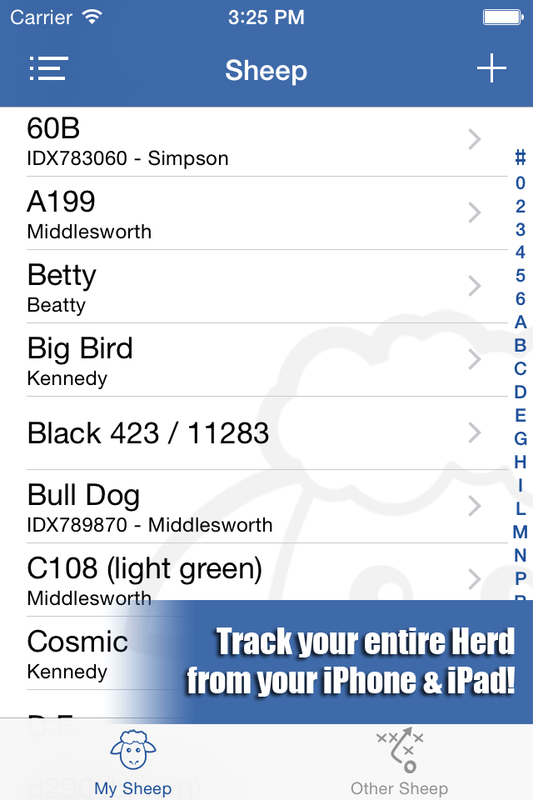 "I absolutely love the HerdBoss application for my iPhone. I don't know what I'd do without it. It is so handy right there in my pocket. I use it daily. My previous records were on paper and I had to remember to write it down when I got to the house. Now I have all my info at my fingertips while in the barn or if traveling. The support group has always been friendly and quick to respond." Produce nearly a dozen reports about your herd, including the lambs that have been born, the production of your sires, the lambs which are expected, the rams, the ewes, the whole flock, and more! 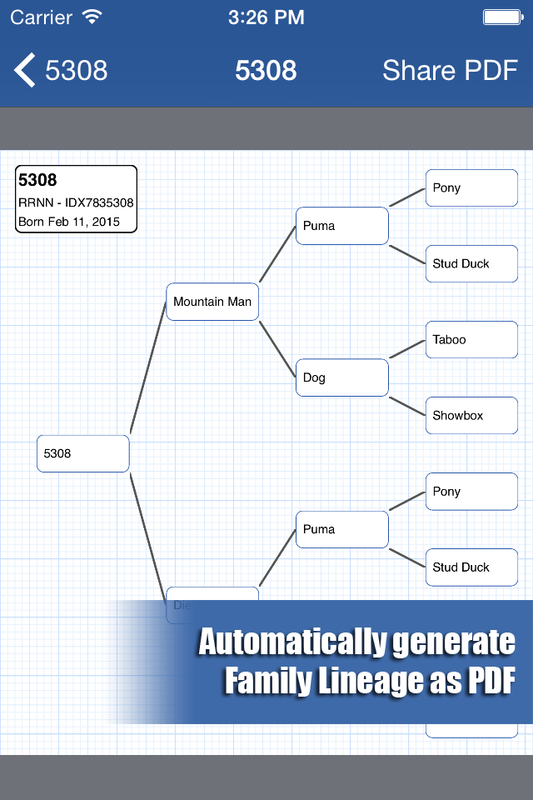 All of this information is tied to your HerdBoss.com account, and is kept in-sync across all of your iPhones, iPads, Android devices, and HerdBoss.com. 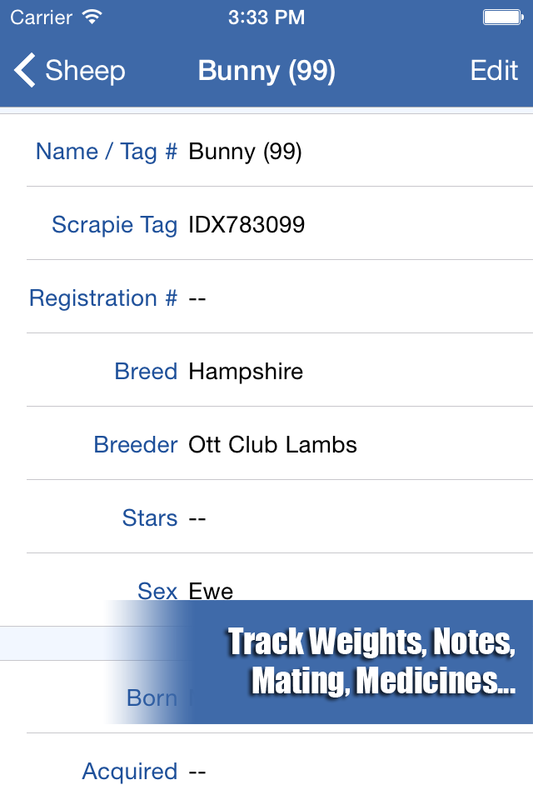 Now you can have workers in the field entering medicine shot information or tracking mating information while you enter notes about the same animals, and have all of the data saved and shared for your whole team to see. You can use HerdBoss without a 4G or WiFi connection! If you don't have signal out in the field, no problem! You can still enter in all of your information and when you get back into 4G or WiFi, HerdBoss will sync all of the new information with the cloud. 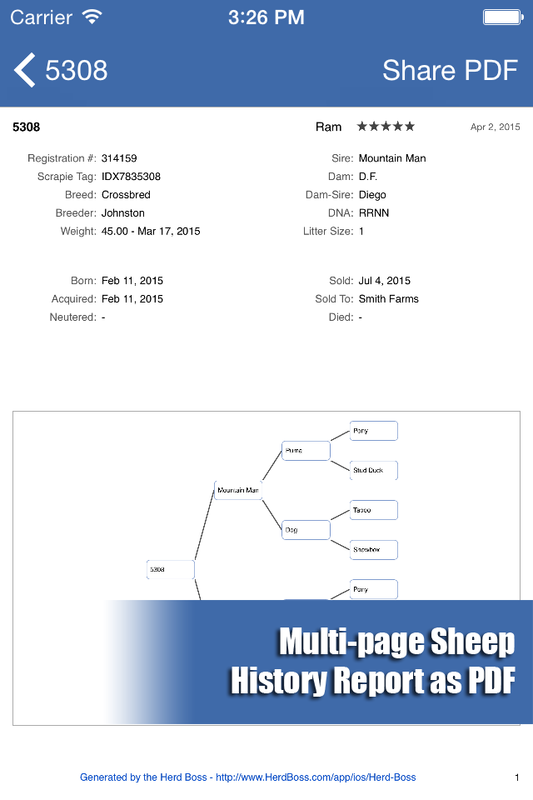 HerdBoss How-To Manual Provides a step-by-step walkthrough on how to add Sheep, add Lambs, track Medicines, Weight Records, etc. 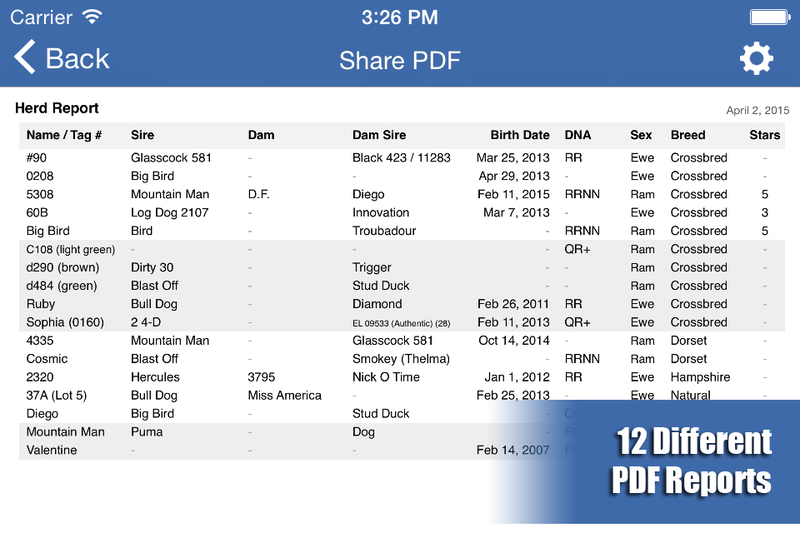 Includes explanations of how to run Herd Reports and Ancestor Charts and how to export them to PDF. HerdBoss Demo/Student Scenario Useful for educational environments to teach people how to use the app. It provides real-world examples that students can follow which help them learn about common situations in Sheep Breeding as well as learning how to track those events in the HerdBoss app.